Posted October 11, 2018 by Dr. William Myers & filed under General Dental Articles, Oral Health, Oral Health and Prevention. It may come as a surprise to hear our dental office in Warsaw supporting something found in the candy aisle. But when it comes to gum, we actually recommend that our patients consider chewing it occasionally. However, not just any gum will get our seal of approval. Gum containing sugar, high fructose corn syrup, or saccharine just won’t do. Instead, look for a gum containing Xylitol and your mouth may thank you. 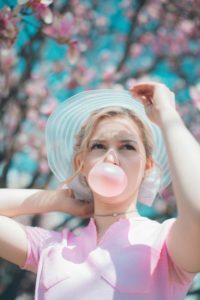 Gum can be a great way to protect teeth when you don’t have an opportunity to brush or floss your teeth, but it shouldn’t be a replacement to proper oral hygiene. We recommend continuing to brush and floss everyday and maintain visits to your dentist in Warsaw every six months. At our Warsaw dental office we’re always accepting new patients and welcome you to call us to schedule an appointment today. We’re here to help our neighbors smile!